Jeff Formby to buy a copy. We are pleased to say that we have set out another book, this time for our friend Keith Bates. 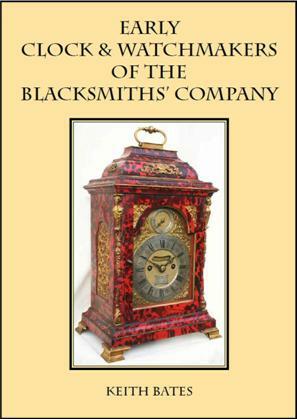 The book is entitled: Early Clock and Watchmakers of the Blacksmiths’ Company. It has been published by Pendulum Publications. 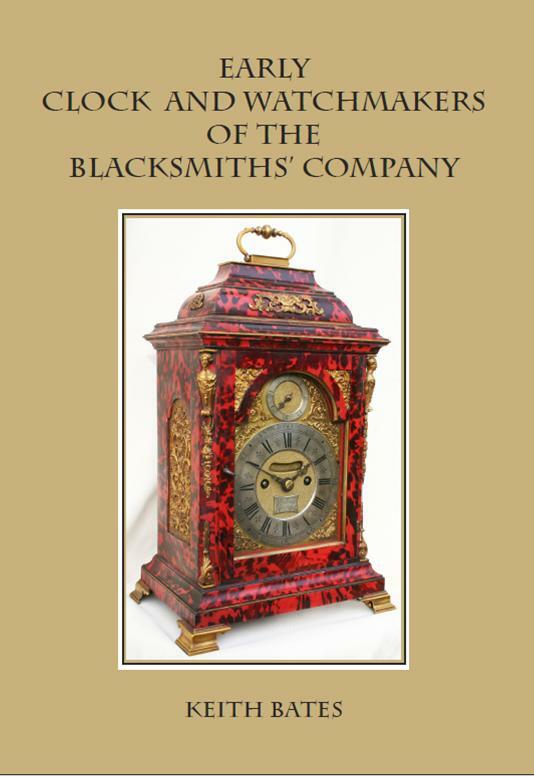 For more than thirty years, Keith has researched the clock and watchmakers who belonged to the Blacksmiths’ Company. The earliest records go back into the sixteenth century and continue up to 1800. During the early years, there was no specific company for clock and watchmakers so most joined fellow metal workers in the Blacksmiths’ company; they were not blacksmiths, they were clocksmiths. Keith has created trade descents of key makers; these diagrams, in ‘tree’ format, enable the reader to navigate through sequences of masters and apprentices. A new company specifically for clock and watchmakers was established by Royal Charter in 1631. 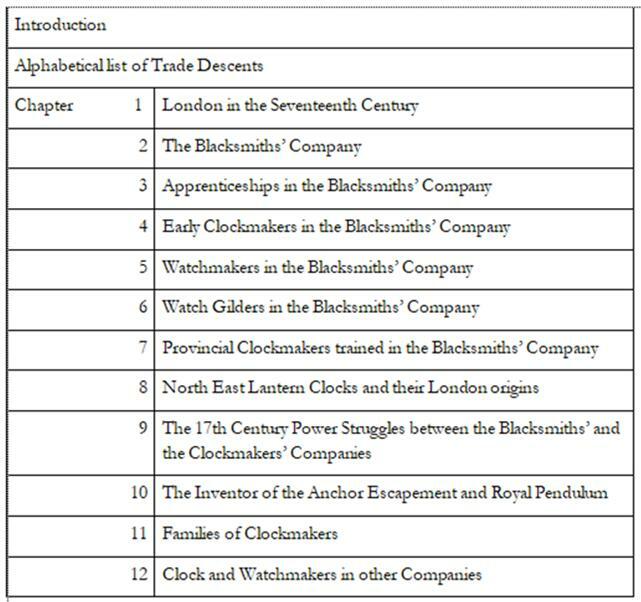 Nevertheless, many clock and watchmakers stayed with the blacksmiths. Keith explores the difficult relationship which existed between the two companies. He relates the history of the company and its clock and watchmaking members in twelve chapters. 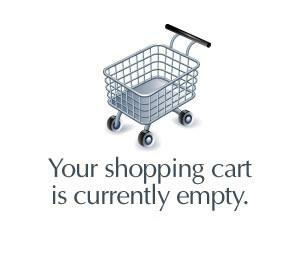 These are followed by Appendices and a substantial Directory of makers. For details of the chapters, see below.